KeyShot is advanced 3D rendering and animation software that simplifies the entire media creation process with an intuitive, streamlined user interface and a revolutionary animation workflow that allows the creation of fully rendered animations in real time. The KeyShot for ZW3D plugin brings single-click integration to the product design workflow. Luxion, Inc. specializes in technology advancing, state of the art, computer-based lighting simulations. 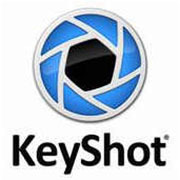 KeyShot is an application built on Luxion's production-proven interactive real-time raytracing and global illumination technology that breaks down the complexity of creating photographic images from 3D models. ** Note: Keyshot 7 doesn't support the 32-bit operation system anymore.